RP-280FA Dolby Atmos Enabled Floorstanding Speaker with an elevation channel integrated into the top of the speaker to reflect sound off the ceiling to deliver the overhead Dolby Atmos experience. 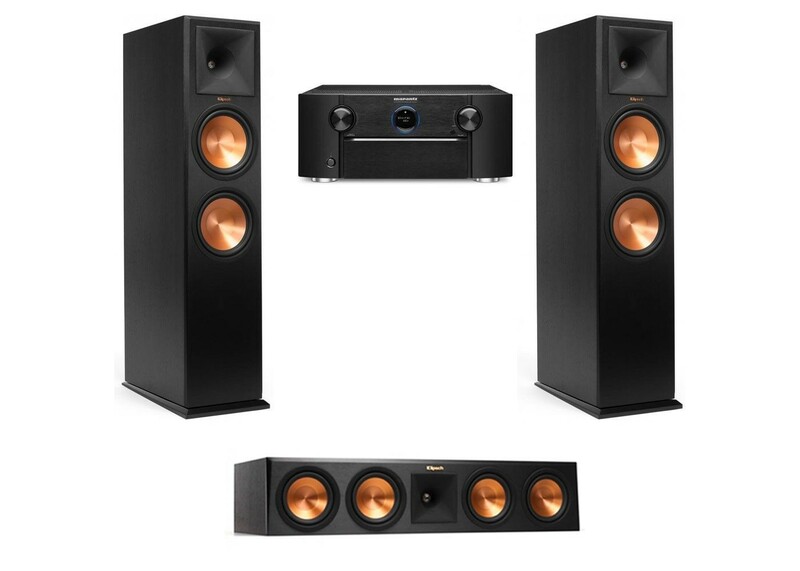 Klipsch RP-450C Center Speaker: The Reference Premiere RP-450C center channel speaker brings movie dialogue and music lyrics to life. Four 5.25-inch Cerametallic woofers and a Hybrid Cross-Section Tractrix Horn emit lifelike, front row sound.